This is connected with changes in signal reception due to cargo and/or catch conditions to reduce the vessel's role in scaring away fish. Our hydrophones are available in three variants Standard trawl hydrophone, Hydrophone for trawl with temperature sensor and Hydrophone for purse seines. 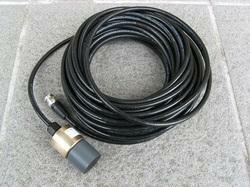 In order to meet excellent quality standards, we are supplying Hydrophone. GW has available a complete range of transducers, to cover the majority of applications. We can supply transducers for Echo Sounders, high or low frequency applications, dual frequency devices, side scan applications, transponder / communications applications and spherical beam devices. The VH165 hydrophone is an omnidirectional test hydrophone for data telemetry. The VH165 is used with the VR100 receiver to locate and track ultrasonic transmitters on passing fish or equipment. The VH165 operates within the 50kHz to 85kHz frequency range. The VH165 is encased in a 16 mm diameter epoxy tube at a length of 100 mm. We are amongst the most reputed names in the industry, offering Hydrophones. The hydrophone used for exploration in deep water has the features of good stability, super seal performance, non-directional and high sensitivity. It is widely applied for prospecting in ocean, reservoir and river within 100 m depth. 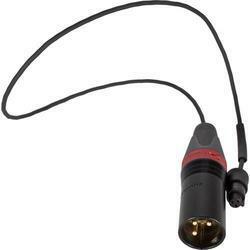 The product can be used with MP24 and P44A type hydrophones alternatively. In order to meet excellent quality standards, we are supplying Hydrophones. Our reputed entity is engaged in supplying Hydrophones.